Every dinner out can be a special occasion. From first impression to last bite, your event here at Ruth’s Chris Steak House in Boise will be managed with detail-driven perfection. Combining unique new beauty, comfort and state of the art audio-video systems, our three elegant private dining rooms and world class service will provide you and your guests with a dining experience to exceed all expectations. 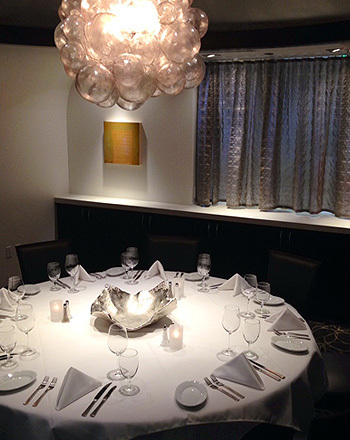 You may be planning an intimate gathering for eight to 12 guests within the Crescent Room, or a spectacular event for up to 75 within the Grand New Orleans room – our spacious private dining rooms provide the perfect setting to impress your most important clients, employees, friends and guests.